Benefit says, "Finely spun with delicate mauves and pinks, this exquisite brightening face powder leaves a petal like finish." I just love Pink blushes for December! I live in a tropical country that doesn't have snow nor winter. However, I still want to get the glow that girls have when they've just been exposed to cold winter air. 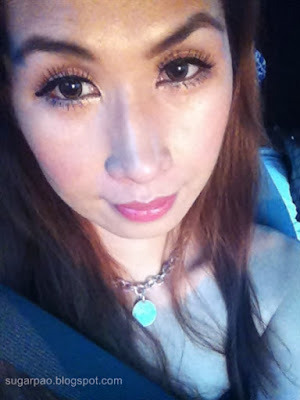 Confession - I haven't used it as a brightening face powder as I have been using it as a blush. Although it seems to make my complexion brighter because it gives such a pretty glow on my cheeks. Comes in a box with a lot of product inside. I have yet to hit the pan of any blusher and I don't think I'll ever see the pan of this one either. 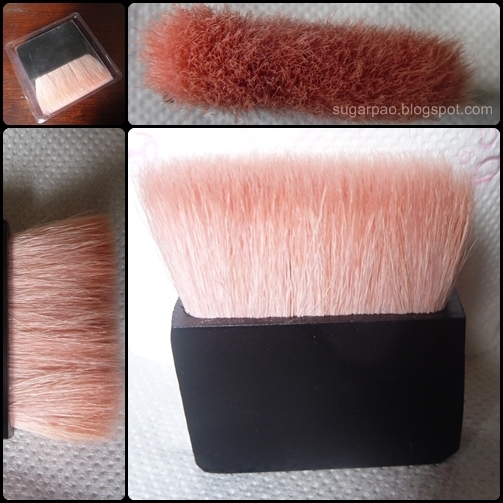 I usually rant about applicators that come with the product but this brush really works with the blush! :) It is not scratchy and picks up a decent amount every time I swipe it on the blush. It is also very compact and pretty. Pale powder pink with a hint of peach and purple or mauve tones. The blush has a very delicate feminine like scent which does not bother me. If anything, it reminds me of L'Occitane skincare products. Other reviews say that this blush has weak pigmentation but I disagree with the opinion of the majority. :P It can be built with several layers and does show up on me so I wouldn't say that the pigmentation is weak. I have used other blushes with weaker pigmentation. Just use the brush that comes with the product and you will be fine - pack the product in the blush and apply several layers as you would with Japanese blushes. You may want to use another product for buffing and blending. - Packaging may be a bit bulky. - May not work for ladies with darker skin tones. 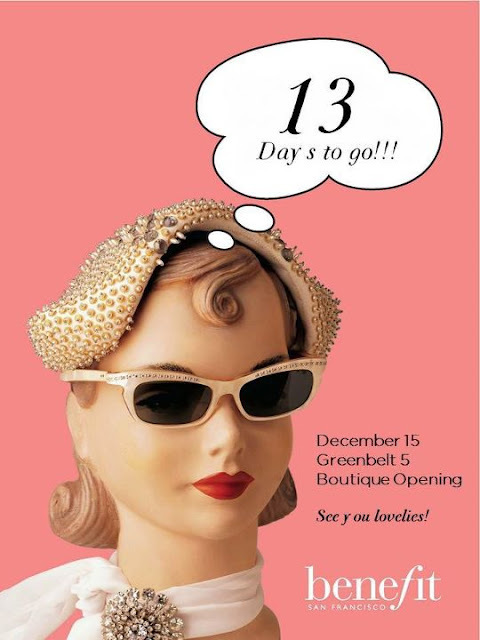 Benefit will soon open it's first branch in Greenbelt! YAY! We can all experience and buy Benefit cosmetics very soon! I'm excited and I hope I can go to the opening.